From here you just enter the data needed about the car or targa. If you have postapay you can pay the bollo directly from the poste.it website without paying the 1.87 more. I don’t have a credit card that works with this i.e. American Express and neither my Maestro Debit Card works. In the end I paid in the Tabacchino. To be honest 2011 to 2012 I would have thought would have been a lot more than SEVEN euro!!!!! Hope to see you in Salerno one day!! The seven euros was if I delayed another 60 days. They had already calculated a €50 ish fine in the payment. Thanks for the links, I will try them when my next fine arrives. Oh my. 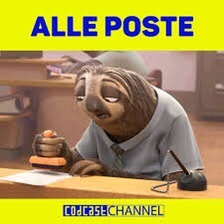 Italian administration sounds almost as efficient as their French counterparts… Our post office lady reads the addresses on your post to see what kind of services she can sell you. She has already suggested that I take an appointment for a mortgage and offered me insurance incase PF falls off his ladder and ends up in a wheelchair. I’m tempted to write to the gynecologist and see what else she comes up with. not to worry, it will take the post office another 5 years to mail the new tax bill due to you. Love your amusing posts please keep them coming. Yes, so funny (not!). 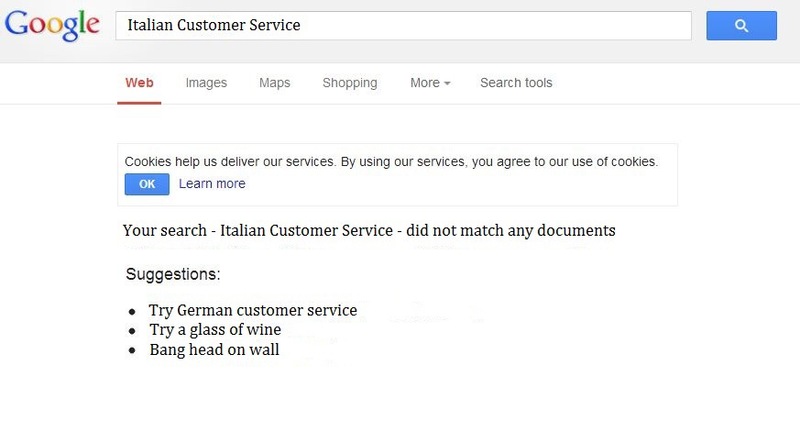 Customer service is not really a option in Italy, well, it unless you yield some form of power, then you’re guaranteed excellent attention!